Animated picture: Xingyiquan (12 Animals) Alligator Application (Take Down). More applications appear as links later in this page and on separate Application pages. Hsing-I Ch'uan (Xingyiquan) is one of the three main branches of Nei Jia kung fu or Chinese internal martial arts. Xingyiquan is an internal Chinese martial art that has enjoyed a long history, and may be older than its two siblings: Taijiquan and Baguazhang. External martial arts training emphasizes developing force and speed. Internal martial arts training emphasizes developing relaxed "soft" structures and strives to achieve efficiency and precision in motion. Hsing-I Chuan, Pa-Kua (Bagua) and Tai Chi Chuan are characterized by an approach that is often associated with meditation and bodywork in the West. There is a focus on developing gross and fine motor skills combined with yoga-like qualities. These three Chinese internal martial arts are linked together with an emphasis on body structure, pursuit of an intuitive understanding of body dynamics, as well as meditation and internal energy development. They all share a common Tantric thread with the foundations of early Taoist and Buddhist practices; developing calmness and cultivating stillness within motion. Hsing-I (Xingyi) and Pa Kua (Bagua) are also linked because there is a tradition in China that teachers of either discipline train in both arts. Xingyiquan means "Form and Will Boxing," so it follows that the will and the shape are more important in making Xingyiquan work as a martial art than mere physical strength and heavy handed force. Xingyiquan has three levels that help build a framework by which to progress as follows: The Obvious, The Hidden, and The Transformational. The Obvious is not so obvious and can take many years to master. The Obvious is often thought of as the shapes or movements themselves, but it is much more than that. The Obvious involves training the body, so that the mind can function more clearly. In other words, I think and therefore I do - automatically. The Hidden requires extreme attention to the process of relaxation and an acceptance that there is an enormous power in softness. This level can be very hard for many people to reach. While the practitioner may know that the softest things (such as water) can overcome harder things. (e.g. The force of gravity can overcome nearly everything in the universe.) However, when faced with a stressful or dangerous situation most people can simply not trust the process enough to follow a soft option. Because they do not trust the softness of relaxed structure, they rely on brute physical strength -- win or lose -- to overcome adversity: this is an external path, not an internal path. The highest level has been called the Transformational level. The Transformational level is actually a careful combination of both the Obvious and the Hidden levels. That said, combining the two previous levels creates an elevated approach that is based on smoothness and slipperyness that seeks not to conquer the opponent whatsoever, but blend and integrate fully with the opponent. There is a phrase that the "shapes in Xingyiquan should be like steel wrapped in cotton." The Transformational stage allows a Master to turn almost any attack or movement to his advantage. Most Xingyiquan practice reaches a ceiling somewhere within either the Obvious or the Hidden stage. The majority fall short of reaching the highest level of the art because they cannot conceptualize and implement either the steel or the cotton concept in Xingyiquan. Very few people can put the two approaches together and synthesize them into something more: this is what it means to realize Yin and Yang in their practice. Instead of pursuing the internal art, they apply physical strength or technique and turn what they do into an external art. In doing this, they avoid the time consuming internal path and reject the notion that there is much more to the art of Xingyiquan than can be perceived on the surface. All internal martial arts (and Xingyiquan is no exception) take many, many years to master. These traditional internal arts are often dismissed by a more modern world in search of a quick fix. The truth is that the internal arts provide a superior method for training efficiency in application. At high levels these Internal martial arts are subtle and extremely effective. The practitioner that seeks the more sophisticated, efficient path is advised to seek the softness in the hard, the small in the vast, the lightness in the heavy, the Yin in the Yang and vice-a-versa: avoid the overuse of force and reliance on physical strength. More and more this internal approach is not the way most Xingyiquan is practiced now. Like Bagua much has given way to external practices which emphasize force and techniques, and in some instances "creative healing dance." To stay on track, we have some excellent books on Xingyi available through our on-line store. One of the best is Jiang Rong Qiao's Xingyiquan Mu Quan (The Mother Fists), as translated by Joseph Crandall. A newer translation we offer is Xing Yi: San Shou Pao by Sha Guozhen, a famed teacher and student of Jiang Rong Qiao. 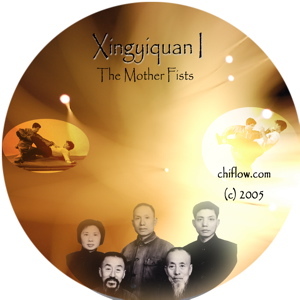 Additionally, we've also joined an instructional video series, Xingyiquan, the Mother Fists with Jiang Rong Qiao's classic text as translated by Joseph Crandall. The video series features Gerald A. Sharp a certified grand student of Jiang Rong Qiao. There are basically two main branches within Xingyiquan. The branch associated with the Hebei region is often referred to as the Twelve Animals style. The branch associated with the Henan region is usually known as the Ten Animals style. Both branches of Xingyiquan are believed to be originally developed by Marshall Yueh Fei (also known as Yue Wu Mu Wang) around 1100 A.D.
Yueh Fei developed Xingyi based on his studies of Shaolin Kung Fu (associated with early Buddhist practice) as taught to him by a personal friend of the family named, Jou Ton, who was a recognized scholar and student of the Shaolin Temple and its martial arts. Accordingly, Jou Ton taught a more sophisticated art of hand to hand combat, traditional weaponry, horsemanship and military tactics. Yueh Fei was also influenced by the texts of Sun Zi (also known as Sun Tzu) and Sun Bin. As legend has it, Jou Ton had a soft, fluid character in his delivery of martial arts which imitated animals and was based on the Five Phases. Jou Ton felt that the spear was the most divine of all weapons and passed his implementation of spear tactics in unarmed and armed combat on to Yueh Fei. Yueh Fei's legendary exploits as a leader and soldier are well documented, and even now his resting place is honored outside of West Lake, Hanzhou. Also it should be noted that Yueh Fei was framed as a traitor by Chin Kua and died in prison at age 38. After Yueh Fei's death, it was later revealed that he had been set up. In front of Yueh Fei's grave are statues of both Chin Kua and his wife kneeling. To this day people pay honor at Yueh Fei's grave and spit on the defaced statues of Chin Kua and his wife. Around the end of the Ming Dynasty a martial artist named Ji Long Feng (also known as Ji Jike) who also was drawn to the spear, was supposedly taught Yueh Fei's fist by a hermit monk who lived in the Chongnan Mountains . Ji Long Feng identified his practice with an art that used spear tactics in closing the gap, wrapping, slashing, sweeping, and pinning. 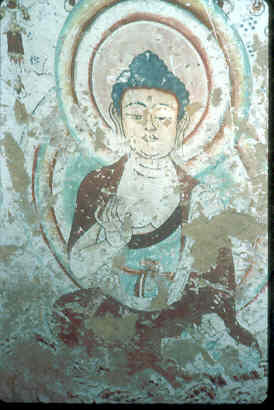 Ji Long Feng supposedly reorganized the art, and transmitted his skills in Shansi Province. In Shansi Province, the art underwent changes and the transmissions divided. Ma Xueli (1714-1794), a third generation student from Ji Long Feng is credited as having maintained what he thought was Ji Longfeng's original style as taught to him by Cao Ji Wu, a student of Ji Longfeng. The version that was taught by Ma Xueli in Henan Province and ultimately became known as the Muslim or Ten Animals style of Xingyi Quan. Ma Xueli was a disciple of Islam, and believed that the fist methods came from the observations of the stars and were a gift from God. Li Luoneng (also known as Li Nengran), a fifth generation stylist from Ji Long Feng took the art to Hebei Province where he promoted the art that he felt was true to Ji Longfeng and Yueh Fei. This style became known as Hebei Style or Twelve Animals Xingyi. Most accounts record Dai Long Bang as Li Luoneng's teacher, and confusion over whether Dai Long Bang was a third or a fourth generation stylist from Ji Long Feng arises. Some accounts, namely Sun Lutang's call Dai Long Bang a third generation stylist, while other records indicate he was a fourth generation stylist having studied under Ma Xueli. If the latter account has credence, this is where the Ten Animals style lays claim to being the original style and the Twelve Animals, or Hebei style a derivative. However, the point is mute as both styles seem to be well-defined systems in and of themselves and certainly on different tracks at this point. The Ten Animals (Henan) style seems to be more external on the surface. However, I've seen some Hebei (Twelve Animals) stylists who look as if they're doing hard style Karate. On the other hand, I've seen Henan practitioners such Yu Hua Long of Shanghai who practice the art very internally. Again it is really up to the practitioner and how they carry forth the art. If Xingyi developed from Shaolin, was intended to be practiced with more finesse, and if the spear and spear tactics are viewed as an advancement in martial practice, then Xingyi is ultimately better developed with softness than with hardness.